Kinesio Tape is an elastic sports and fitness tape designed for muscle, ligament and tendon pain relief and support. It is applied along muscles, ligaments, and tendons to provide a light weight, external support. The tape allows moisture release so it is comfortable to wear. It provides 1-7 days of relief per application. Up to four sites may be taped at one time. I am a Certified Kinesio Taping Practitioner so you can trust my expertise. For more information, please keep reading. Have you seen that colorful tape that athletes wear? Wonder what it is and why they are wearing it? Even if you haven’t seen it, if you have an injury, aches and pains, or inflammation, the colorful tape will help you to recover more quickly. Whether you are a weekend athlete or run marathons, Kinesio Taping provides hours of pain relief and support. The latex free tape is effective while you sweat and in humidity. It is water resistant so go ahead, take that shower! Tennis elbow? Plantar fasciitis? Shoulder problems? Headaches? Back ache? Shin splints? Achilles tendon issues? Bad bruise? Sprained ankle? Kinesio Tape may help you to recover more quickly. Post knee replacement swelling? How about trigger finger or carpal tunnel syndrome? Kinesiology Taping may help to alleviate the pain and provide support. I am qualified to tape for lymphedema. I have successfully taped many conditions for athletes and non-athletes. I provide the Kinesio Tape for your session. 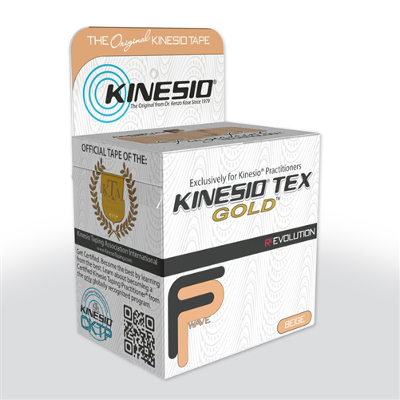 I use Kinesio Gold Tex and Kinesio Classic tape. I also sell Kinesio Tape. I will tape the site based on your symptoms. I do not diagnose conditions nor do I prescribe therapy. You agree to continue your doctor’s prescribed course of action. $10-$15 per application site. By appointment only. Call Karen today at (618) 696-6411 or complete the Contact Form to schedule your Kinesio Tape session. In the event of a no show, management reserves the right to charge a $20 fee, which will be added at the next appointment.